Tokyo, Japan, September 19, 2013 –Teijin Limited announced today that, for the sixth consecutive year, it will provide an eco-friendly Green Carpet made with ECOPET recycled polyester fiber derived from used polyethylene terephthalate (PET) bottles for the Tokyo International Film Festival (TIFF). 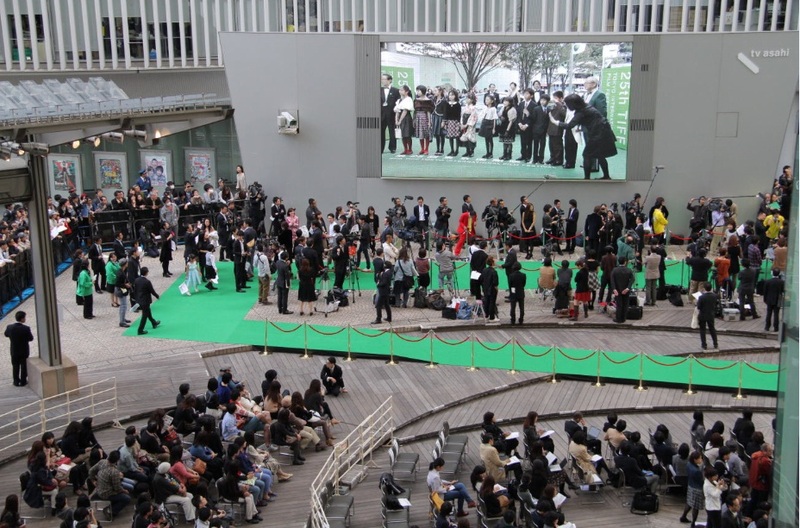 The event is one of Asia’s most competitive film festivals and will be held at the upscale Roppongi Hills complex and other Tokyo venues from October 17 to 25. The Green Carpet will be used in place of the traditional red carpet during the TIFF including the opening ceremony. The ECOPET carpeting will cover a total area of 1,800 x 0.9 meters, the equivalent of about 26,000 half-liter bottles. This brings the six year total of carpet produced for TIFF to 100,000m, or some 169,000 half-liter bottles. 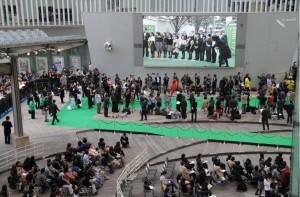 Over the past five years, TIFF embraced the theme of ecology with a variety of green initiatives, including the use of Teijin’s Green Carpet. This year, TIFF will also carry out a charity drive and implement e-ticketing to reduce the use of paper.In addition to carpeting, Teijin’s ECOPET is used in a wide range of applications, including apparel, uniforms, interior textiles such as curtains, industrial materials such as tents, banners and filters, and civil engineering materials. Teijin (TSE: 3401) is a technology-driven global group offering advanced solutions in the areas of sustainable transportation, information and electronics, safety and protection, environment and energy, and healthcare. Its main fields of operation are high-performance fibers such as aramid, carbon fibers & composites, healthcare, films, resin & plastic processing, polyester fibers, products converting and IT. The group has some 150 companies and around 17,000 employees spread out over 20 countries worldwide. It posted consolidated sales of JPY 745.7 billion (USD 7.4 billion) and total assets of JPY 762.4 billion (USD 7.6 billion) in the fiscal year ending March 31, 2013. Please visit www.teijin.com.